Your summer fishing experience starts here. Brotherhood Charters offers an array of fishing trip packages to fit your preferences – whether your interests lie in our family-friendly trips, competitive sport fishing charters, day fishing trips, evening trips, or anything in between. Founded by Captain Jayme Bertrand, the story behind the name Brotherhood Charters is in regards to the relationship between the captain and his brother Justin, who serves as first mate. Beginning early on, a childhood of fishing has grown into a love for the lake. It is more than just a hobby for the two. It’s a lifestyle.  Brotherhood Charters docks at the Kewaunee Marina, located in Kewaunee, Wisconsin. We are an easy thirty minute drive from Green Bay and located just south of the beautiful Door County region. Whether you’re an experienced angler or a first-time fisherman, Brotherhood Charters guarantees you’ll enjoy one of the best fishing trips in the region. Built on family tradition in the heart of Wisconsin’s Packerland, you’ll leave with the fishing experience of a lifetime to share with your family and friends. Book a trip with Brotherhood Charters, and join us on the beautiful waters of Lake Michigan for some of the best sport fishing around.